If you struggle with clogged pores and mild acne, you&#x2019;re not alone. Everyday skin pollutants and daily activity cause damage to everyone&#x2019;s skin. The only way to combat the effects of the wear and tear of daily life is to actively reduce the damage by implementing a daily skin care routine that works for your skin. The best offense is defense as they say and with the right program you&#x2019;ll be able to remedy the problem of clogged pores and bacteria in no time. There is no exact science to the perfect skin care program; it takes a lot of patience and testing of products to find the program that works for you. Here are a few tips to get you started on the path to bacteria free pores. Steam your skin. The best way to open pores is to steam your face. This is not only great for the health and youthfulness of your skin, but it effectively opens your pores, which allows you to get into the deep surfaces of clogged pores. Boil water into a kettle and dump the hot water into a large bowl. Hold your head over the steam, sealing the steam in with a large towel. Steam your face for 15 minutes and pat dry. Drink water. Water is one of the most important fluids you can put I your body, but it is a sad fact that 70% of Americans are not properly hydrated. Water helps the skin retain its elasticity, which aides in its healing properties and self repair. If you don&#x2019;t drink enough water, your follicles will clog and blocked follicles lead directly to trapped bacteria in your skin. Drink at least 8 glasses of water a day. Quit smoking. Test your skins healthiness. Pinch a bit of skin between your fingers and then release it. If your skin is healthy, the skin will return to its proper shape immediately. If not, it will stay in this wrinkled, pinched position. This is what skin does when it has aged and smoking increases the aging process. Stop smoking and prevent premature aging of skin. Wash your face every day. Use a mild cleanser available in drug stores, like Cetaphil or a medicated regimen like Proactiv. A proper cleansing regimen will leave your skin fresh and healthy and your pores clean and unblocked. It is recommended that you wash your face twice a day, but not all skin is the same and you should test a regimen that works best for you. Moisturize. Many people believe that if they skip a moisturizer, they&#x2019;ll avoid oil and help dry out acne, but the opposite is true. If your skin is dry it will work harder to create its own oil to hydrate skin, which is the last thing you want. Oily, acne prone skin needs moisture more than anything else and the proper moisturizing regimen will make your skin less susceptible to almost all acne conditions. Use oil free moisturizers and try a few different types to see what combination of washing and moisturizing works best for you. Protect your skin from the sun. Burning your skin does not kill acne. This is a horrible myth and a dangerous one at that. Protecting your skin from the sun is just smart. The sun causes skin cancer, so if you don&#x2019;t do it for your acne, do it for your health. The sun prematurely ages skin, drying it out, and removing its natural elasticity, which all lead directly to clogged pores and bacteria growth. Use an oil-free moisturizer with a high SPF every time you go outside. Get a facial. 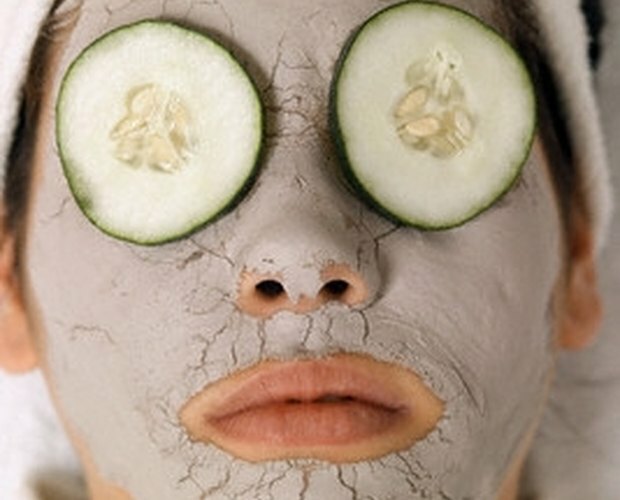 It isn&#x2019;t the cheapest alternative, but regular facials can be beneficial to your skin in a number of ways. A spa facial will rid your pores of all the dirt, grime and pollution that your skin faces everyday and it is done in a safe and gentle manner. Poking, picking and prodding should only be done by a certified aesthetician, so don&#x2019;t try to extract bacteria or pick blemishes at home and never use your dirty fingernails to pop pimples. Treat blemishes and clogged pores. Benzoyl peroxide is arguably the best treatment for blemishes and blackheads. Benzoyl peroxide should only be used for spot treatments and never as an all over cream. Only use benzoyl peroxide on moderate acne problems because in severe cases of acne, it will only work to further irritate the skin and make acne worse. For the treatment of severe acne, try using a tonic with a salycic acid base. Use natural ingredients. There are a lot of skin cleansers and acne medications available out there, but sometimes the best way to fight the damages of nature are to use nature itself. Lemon juice and other citrus fruits are great for cleaning pores. Lemon juice contains natural antiseptics and detoxifying effects, which are beneficial to the skin and lemon juice also reduces oil content, the look of brown spots and exfoliates skin. Cut a lemon and squeeze the juice onto a cotton ball and swipe it across your face. Let your skin dry and then rinse with cold water. Get a skin peel. TCA peels, which are otherwise known as Obagi peels or blue peels, have been clinically proven to be as effective a treatment for acne as Accutane. A skin peel can increase skin regeneration and return the skins pH and acidity back to normal levels. Skin peels are most regularly received in a dermatologist's office, but you can also purchase them online for at-home use. Be careful when using a skin peel at home and do not overuse the product. Skin peels should not be applied more than 3 times a year. Substitute other citrus fruits for lemon juice, but do not mix two citrus juices together. Drink a lot of water. Apply a minimum of SPF 15 every time you go outside, whether it is sunny or raining. In cases of sever acne, benzoyl peroxide will worsen the acne. Only use benzoyl peroxide on light blemishes and flare ups. Skin peels can be applied every 3 to 6 months, but not more than 3 in a year.